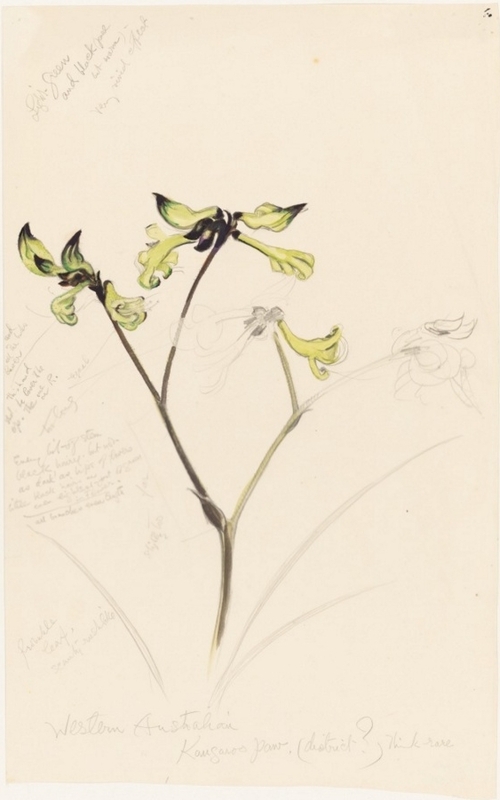 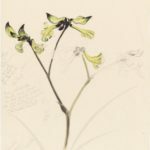 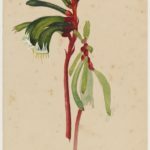 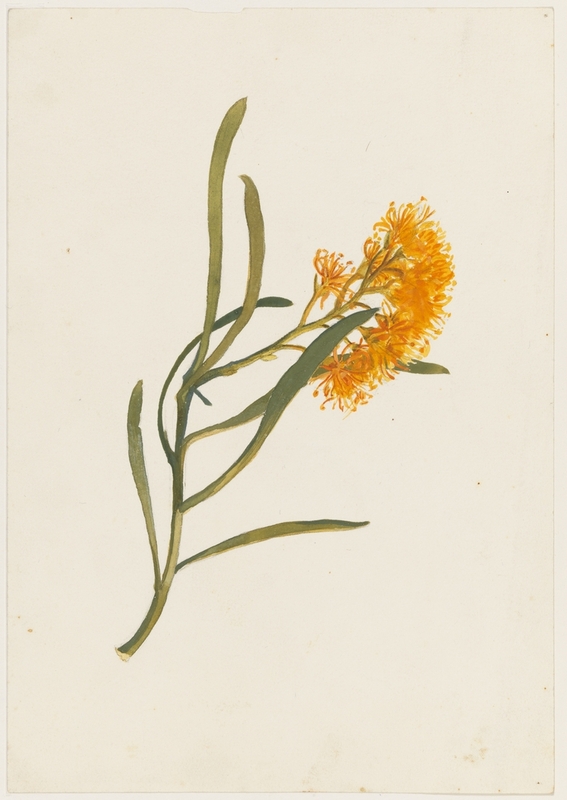 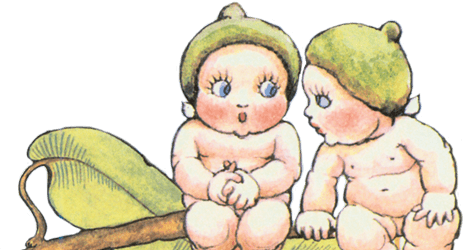 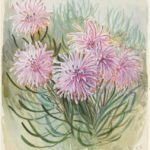 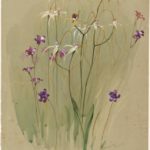 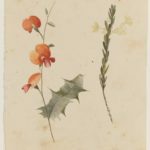 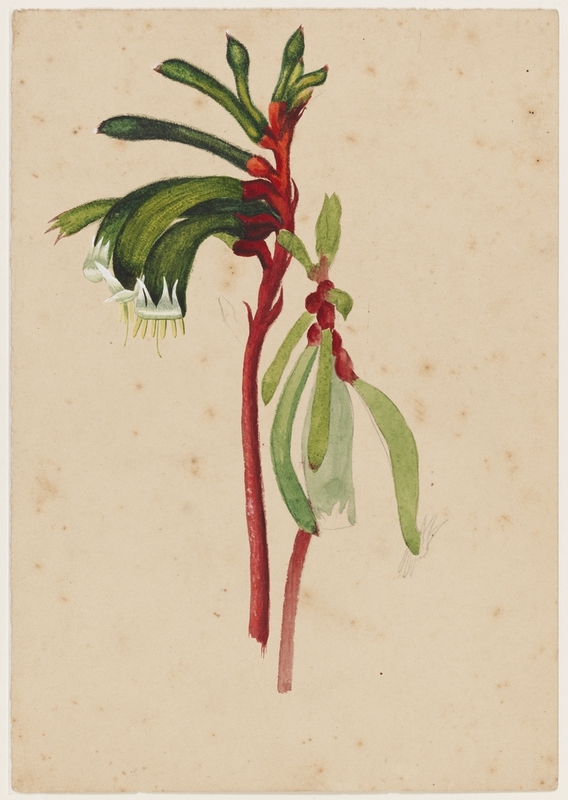 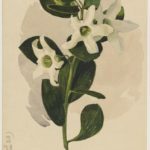 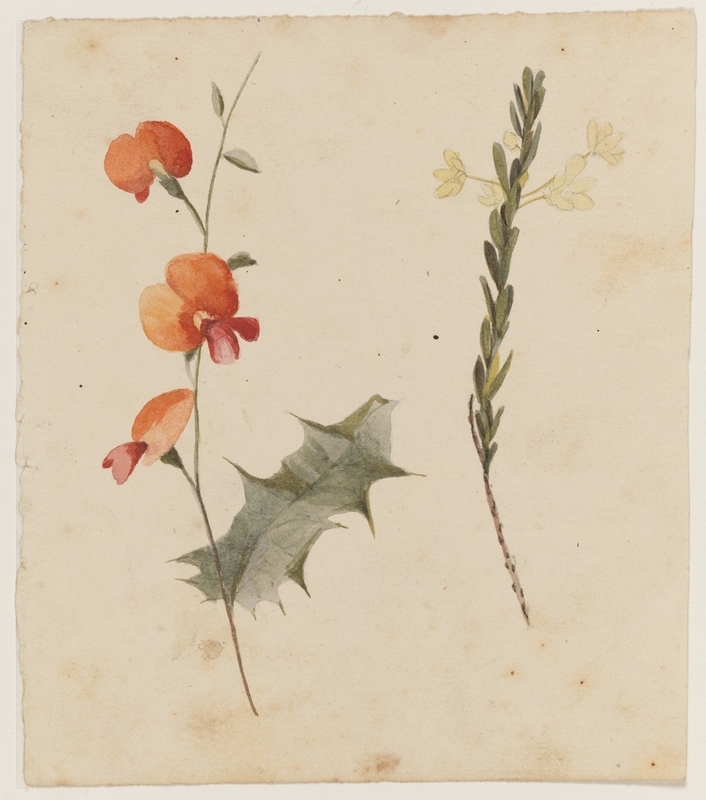 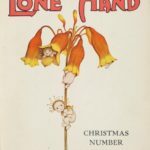 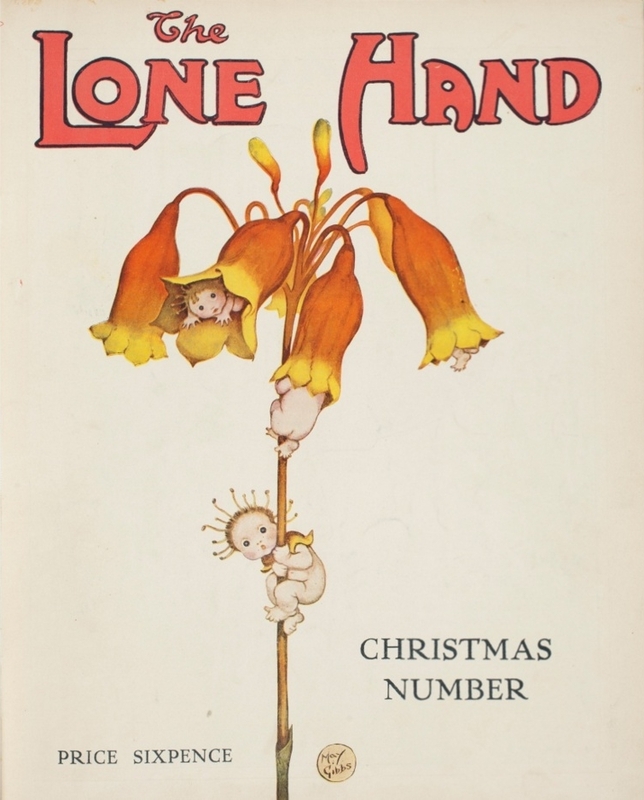 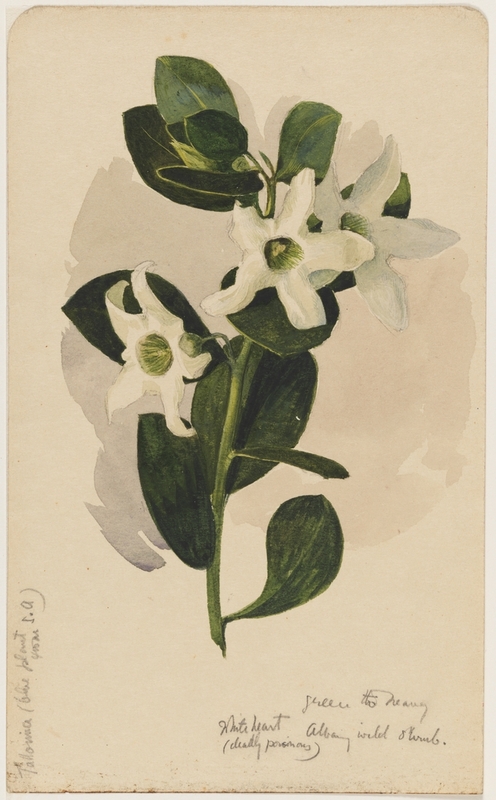 May Gibbs had a particular interest in botanical drawings from a young age. 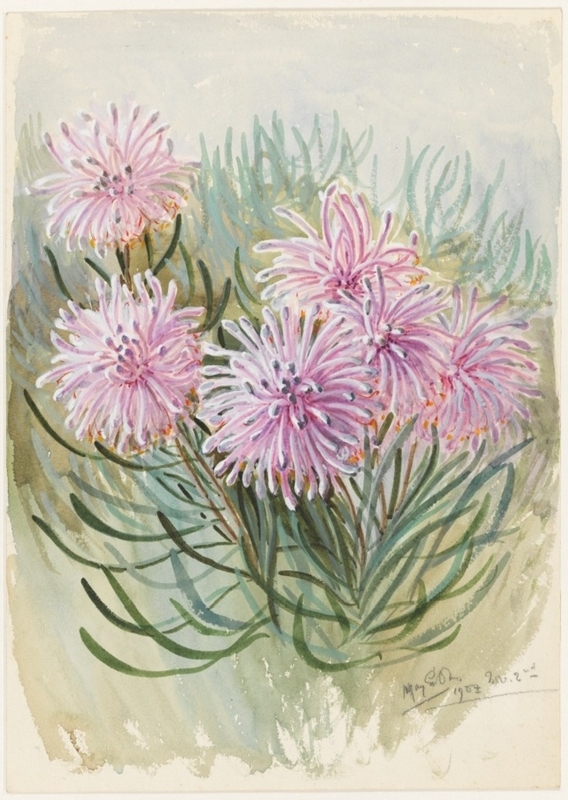 Initially inspired by the Australian bush while living at ‘The Harvey’ she won first prize at the age of 15 for her entry in the West Australian wildflowers exhibition in Perth. 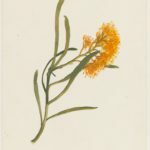 She continued to exhibit in the annual series of exhibitions and received accolades for her work throughout the 1890s. 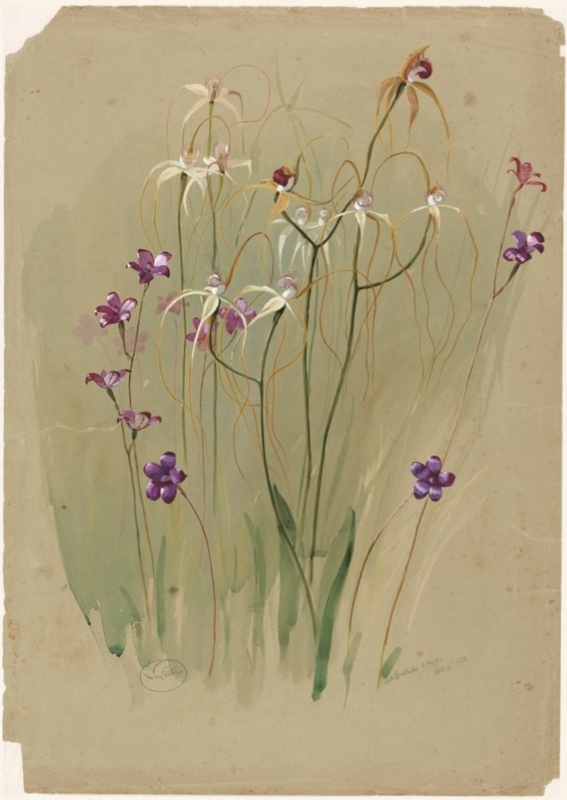 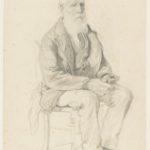 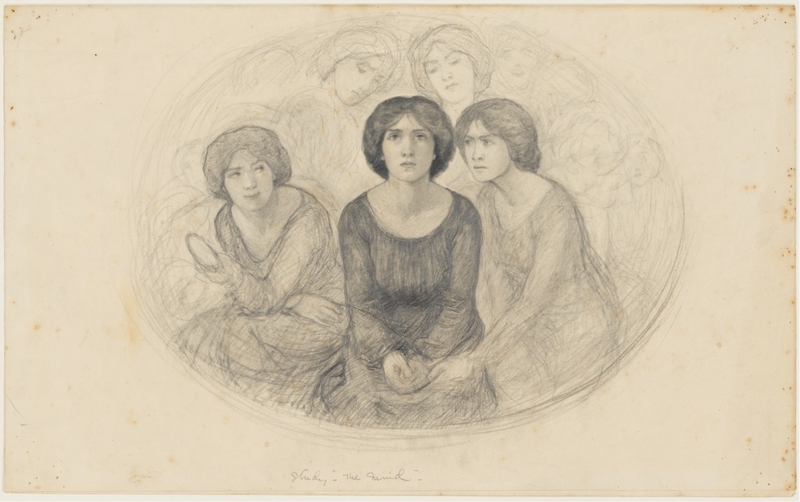 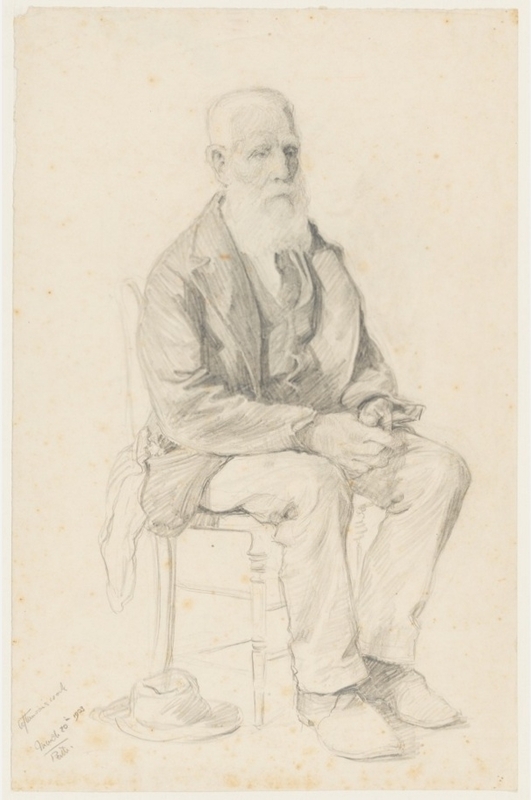 Between 1900 and 1913 May travelled overseas three times to study art in England. 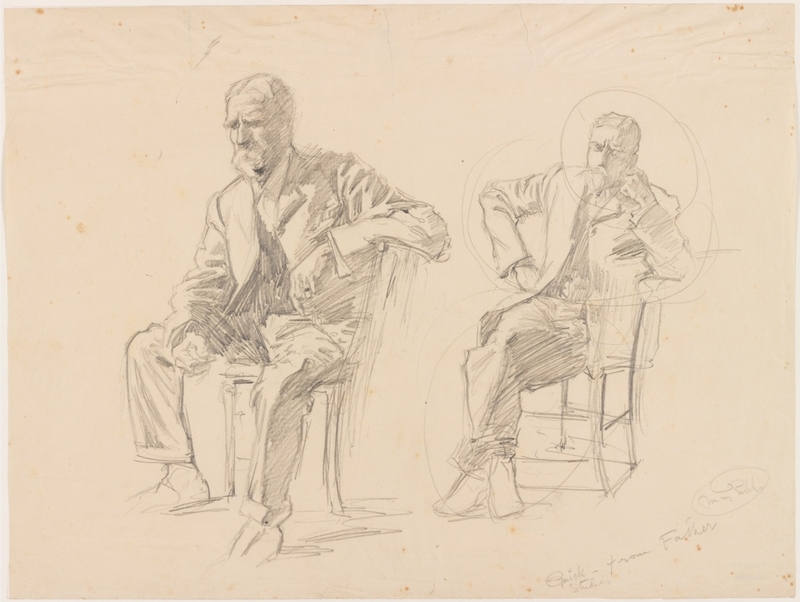 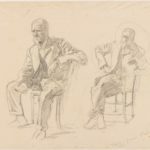 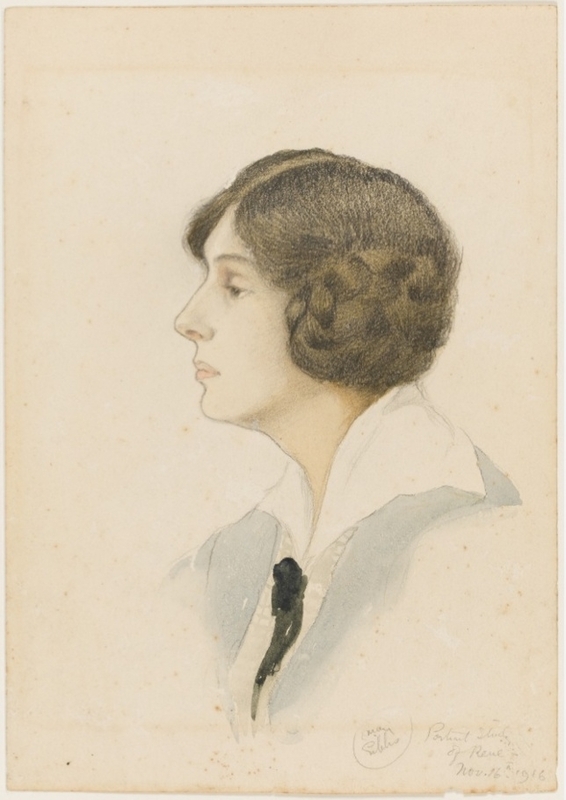 During this time she had the opportunity to attend life drawing classes which diversified her repertoire further. 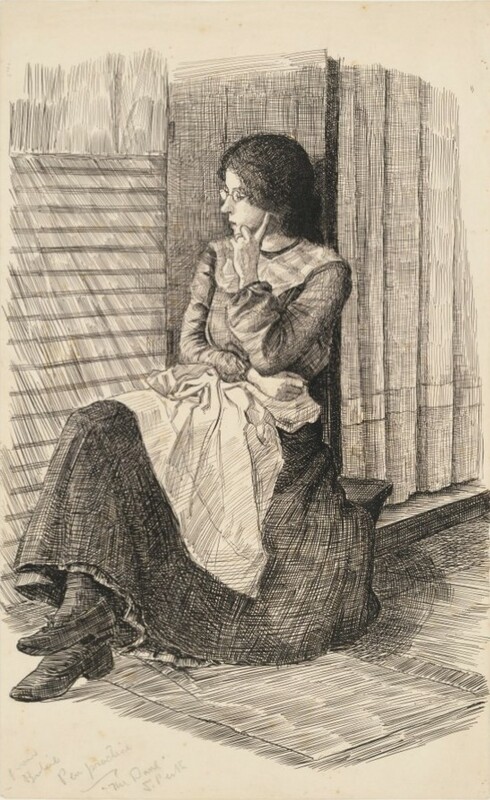 May was a keen observationalist and skilled at capturing character. 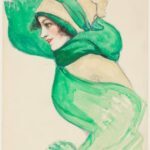 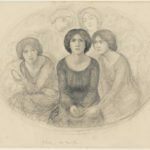 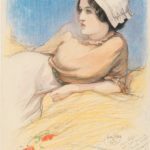 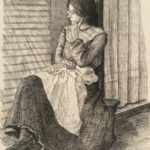 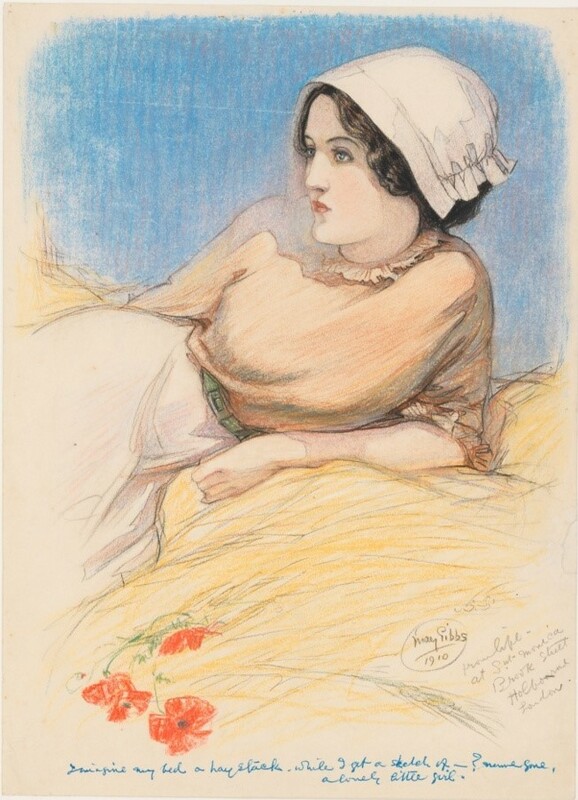 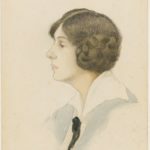 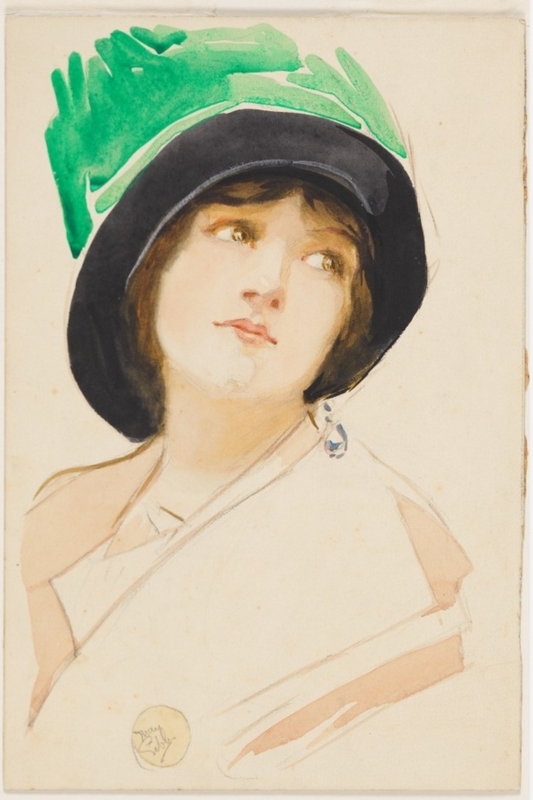 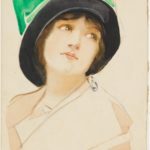 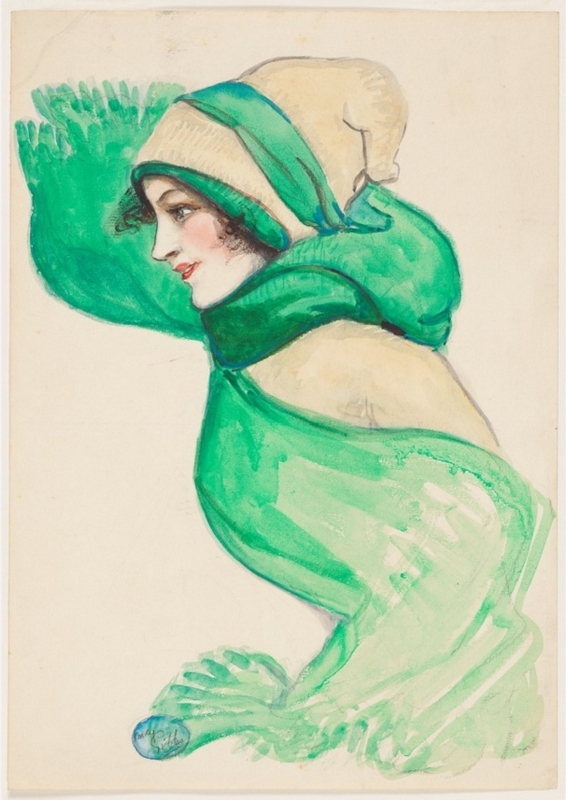 She became a confident portrait artist and between 1921 and 1924 contributed a number of portraits to the Annual Society of Women Painters exhibition.